Carved Glass, Carved Art Glass or Deep Etched Glass. 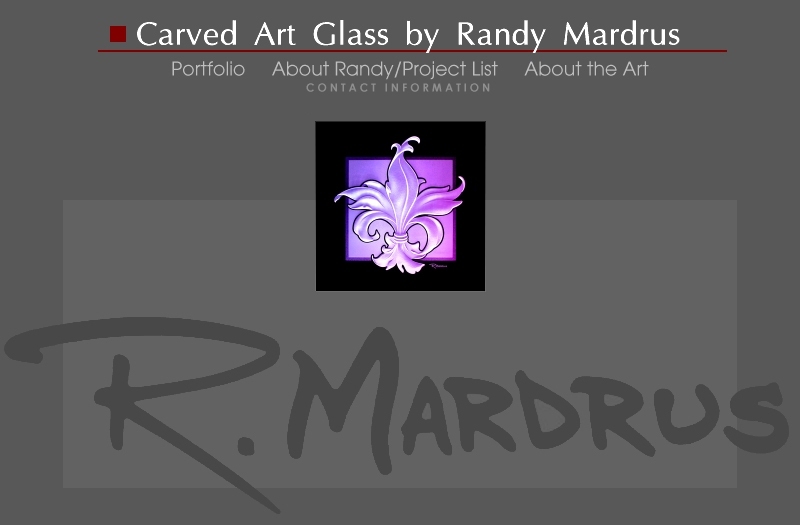 Copyright 1998-2006 Randy Mardrus Carved Art Glass, All Rights Reserved. Carved glass, carved art glass, deep etched glass, illuminated, lighting, edge lit, doors, railings, bars, headboards, windows, architectural glass, interior, art glass, yacht, log home, sandblasted, sculpture, sculpted, carved, glass carving, carvings, art, artistic, custom designed, commissions.